This guide is designed to help students in Dr. Jennifer Wingard's ENGL 3396 sections to find research and information relevant to their assignments. This guide provides access to specific research tools for your class. Use the tabs to navigate to resources and information. Don't hesitate to contact me with questions, comments, or suggestions. Find books, databases, primary sources, and other resources related to American History. Find research and resources relevant to English Studies, including literature and linguistics, creative writing, and rhetoric, composition and pedagogy. Use this guide to find a wealth of Mexican study related resources right here in Houston. Courtesy of Special Collections, University of Houston Libraries. 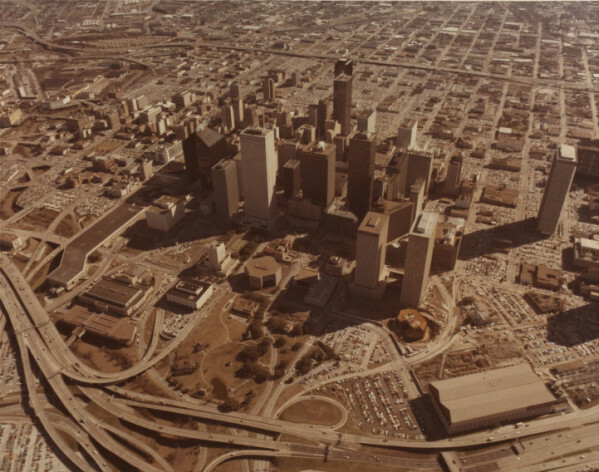 Find this and other Houston images in the UH Digital Library's Houston History Collections.